Luis is a project management specialist, skilled in translating strategic planning into strategic execution to ensure value realization. Expert on M&A programmes, identifying and benchmarking best practice in PMI, from formulating the initial integration plans through the execution, reaching business goals while avoiding value destruction. Certified as change manager, personal and professional coach, project manager certified in both traditional and agile methodologies. Luis is author of the book “Murphy on projects: causes of failure in projects and how to prevent them” (currently available only in Portuguese) and several articles about development of management competences. 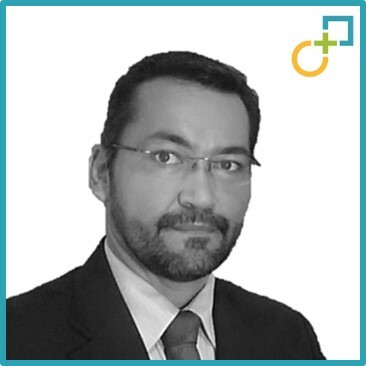 He has over 15 years of experience in international projects and PMOs, leading strategic corporate programs and projects in six (6) countries, from digital product development, mobile services until merge and acquisitions, for companies in different industries. Luis moves between Brazil and Colombia and has worked throughout Latin America. Integration planning and execution, integration readiness assessment, Day 1 preparation and 100 days planning. Synergies calculations for merger and joint ventures. Integration Management Office (IMO) implementation, change management leadership. Cross-border M&A, Carve-out planning and execution. Entrepreneur experience, leading startup operations for ISP’s and mobile operators, as well as target operational model design and business process improvement. Project management and PMO experience, including PMO award finalist of the ” PMO of the Year” , Brazil, 2012. International project management with cross-functional teams in south America, USA and UK and projects in different industries: Internet, digital products, e- commerce, telecomm, valued-added services for mobile operators, mobile payments, payment cards, insurance, airlines. Internet and e-commerce management, developing digital products with high availability (HA) to serve up to two (2) millions of users. Implementation of digital marketing campaigns, increasing revenues by sales funnel optimization. Planning and execution of the merger between the Brazilian credit bureau SERASA and Experian Brazil, one of the largest deals in Latin America in 2012 (US$1,5 bi). IMO implementation and integration planning for the acquisition of the ALL, largest rail network operator in Latin America, by RUMO, largest sugar producer in Brazil, which was one of the biggest deals in 2014 (US$5 bi). Synergies calculation for joint ventures in the food and mining industries. Support for banks integration, Brazilians BV and BB. Trading securities business transformation planning, facing new regulations. IMO implementation support for the VISA-Banelco merge, Argentina. Carve-out planning from EBX Brazil of the EBX gold mining operation in Colombia, for further integration into Qatar Mining operations. Processes redesign in the merger of LAN airlines with TAM airlines (Argentina, Brazil, and Chile).